The most versatile hemostasis clip on the market. The RePlay™ Hemostasis Clip provides precise, responsive control with clean deployment, and is the only clip designed to be removed if desired. Simplify endoscope use and cleanup. Experience the familiar feel of BullDog® Air/Water and Suction Valves. Reduce cross-contamination risks with these convenient single-use solutions. Joining forces in GI care as Diversatek Healthcare. Cutting-edge diagnostic solutions. Innovative gastroenterology and surgical products. Diversatek Healthcare is redefining GI care. The science and technology of care is in everything we do. In the GI endoscopy and diagnostic marketplace, we strive to support you and your patient populations with technological innovations and workflow solutions. Leading the industry in GI technical research and training at Diversatek U. Our broad educational platform offers onsite and virtual instruction to meet your clinical needs. You deliver personalized care. We think you should get the same. Your focus is always your patients. We believe our duty is to serve you with well-trained, seasoned professionals in our customer experience group. Our focus is advancing GI care so your focus can be your patient. At Diversatek Healthcare, we believe our role is to serve you so you can provide exceptional patient care. That’s why we strive to equip you with the technologically advanced scientific innovations and workflow solutions, and offer a comprehensive suite of education options and personalized training and support. All of which keeps you current, informed, and the care you provide running smoothly. View the latest Diversatek U webinar now. Reflux Hypersensitivity and Functional Heartburn. All Roads Lead to Rome. Diversatek University is home to comprehensive instruction and clinical training in esophageal function testing, Impedance/pH reflux monitoring studies and anorectal manometry. Our broad and deep independent educational platform offers training and coursework to meet individualized needs. Choose personalized instruction at our state-of-the-art Technical Research & Training Center, or tap our extensive library of online tutorials and real-time, online discussions. Diversatek U makes learning easy and convenient. We pioneered innovative Impedance/pH Total Reflux Monitoring for acid and nonacid reflux, forever changing the worldwide diagnostic practice for refractory GERD. 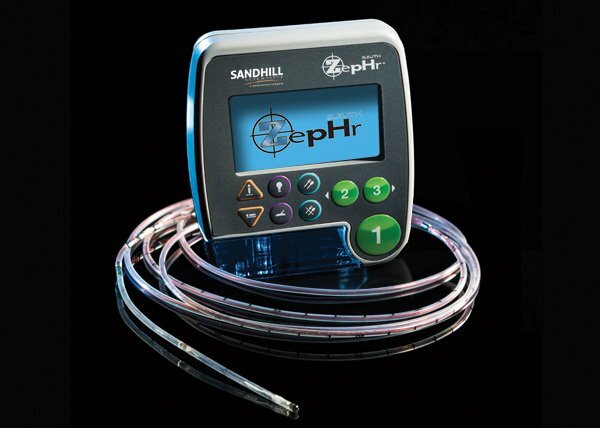 ZepHr® set the standard with state-of-the-art technology and the widest choice of Impedance/pH ComforTEC® probe configurations. Our mission will always be delivering technologically advanced innovations with the goal of streamlining workflow while enhancing patient care and comfort. Our focus is the design and manufacture of medical equipment and devices so you can focus on your patients. Our best-in-class Clinical Specialists deliver product support to suit specific needs—on your schedule. Whether reviewing a challenging case, or providing onsite training at your facility, our knowledge and experience is always working for you. It’s the nature of who we are, and it’s just like how you service those in your care.